The potential energy and cost savings achievable through the accurate specification of ambient cooling technology is well documented, but understanding exactly how to achieve it within the parameters of a particular project or application isn’t always as straight forward. 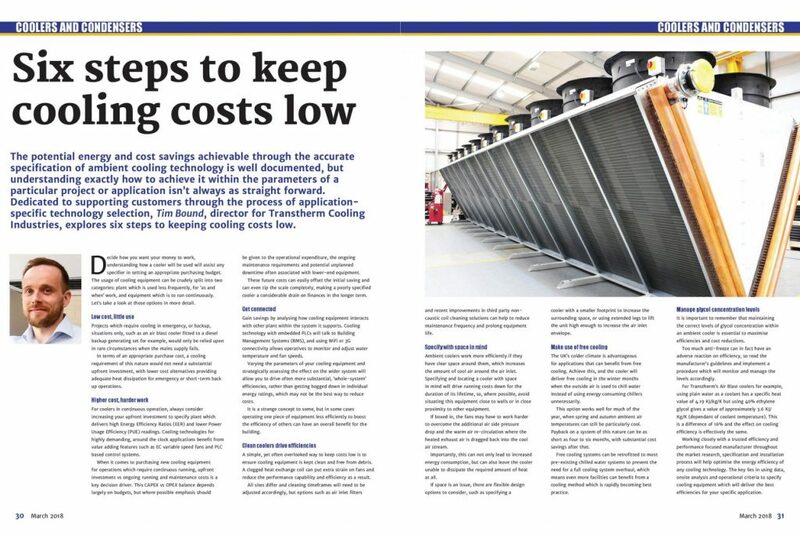 Dedicated to supporting customers through the process of application-specific technology selection, Tim Bound, Director for Transtherm Cooling Industries, explores six steps to keeping cooling costs low. Projects which require cooling in emergency, or backup, situations only, such as an air blast cooler fitted to a diesel backup generating set for example, would only be relied upon in rare circumstances when the mains supply fails. In terms of an appropriate purchase cost, a cooling requirement of this nature would not need a substantial upfront investment, with lower cost alternatives providing adequate heat dissipation for emergency or short-term back up operations. For coolers in continuous operation, always consider increasing your upfront investment to specify plant which delivers high Energy Efficiency Ratios (EER) and lower Power Usage Efficiency (PUE) readings. Cooling technology for highly demanding, around the clock applications benefit from value adding features such as EC variable speed fans and PLC based control systems. 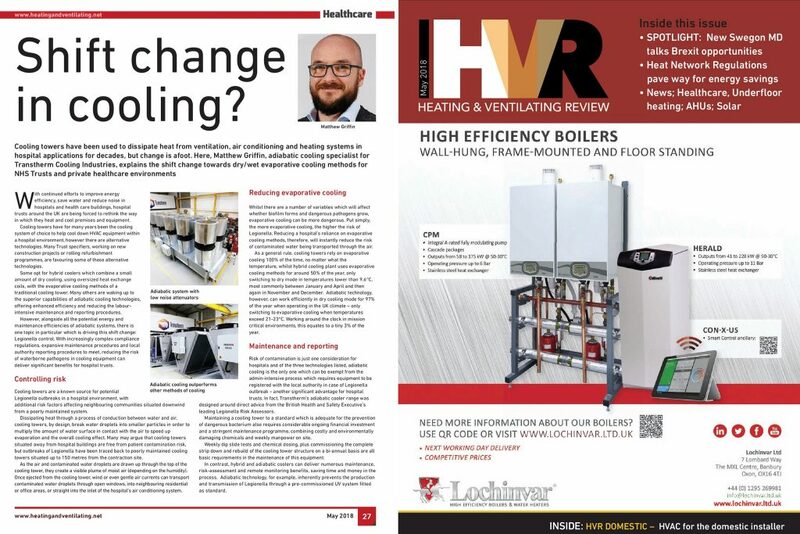 When it comes to purchasing new cooling equipment for operations which require continuous running, upfront investment vs ongoing running and maintenance costs is a key decision driver. This CAPEX vs OPEX balance depends largely on budgets, but where possible emphasis should be given to the operational expenditure, the ongoing maintenance requirements and potential unplanned downtime often associated with lower-end equipment. These future costs can easily offset the initial saving and can even tip the scale completely, making a poorly specified cooler a considerable drain on finances in the longer term. Gain savings by analysing how cooling equipment interacts with other plant within the system it supports. 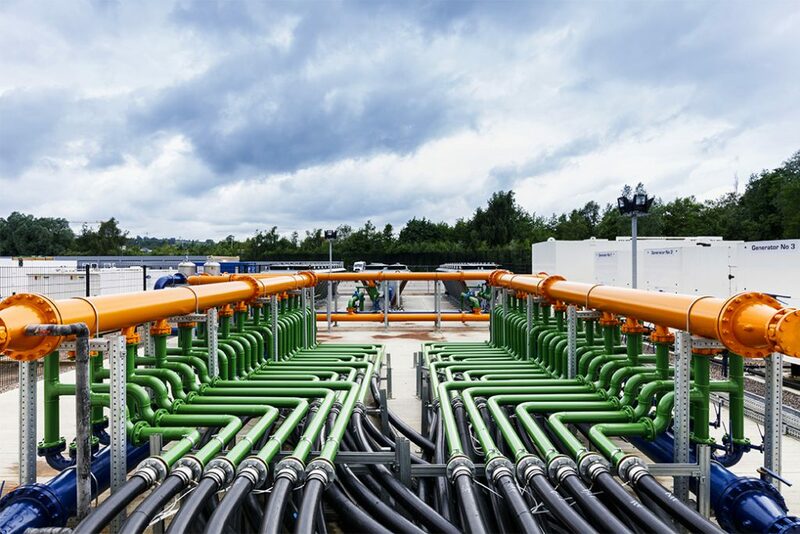 Cooling technology with embedded PLCs will talk to Building Management Systems (BMS) and using WiFi or 3G connectivity allows operatives to monitor and adjust water temperature and fan speeds. Varying the parameters of your cooling equipment and strategically assessing the effect on the wider system will allow you to drive often more substantial, ‘whole-system’ efficiencies, rather than getting bogged down in individual energy ratings, which may not be the best way to reduce costs. It’s a strange concept to some, but in some cases operating one piece of equipment less efficiently to boost the efficiency of others can have an overall benefit for the building. A simple, yet often overlooked way to keep costs low is to ensure cooling equipment is kept clean and free from debris. A clogged heat exchange coil can put extra strain on fans and reduce the performance capability and efficiency as a result. All sites differ and cleaning timeframes will need to be adjusted accordingly but options such as air inlet filters and recent improvements in 3rd party non-caustic coil cleaning solutions can help to reduce maintenance frequency and prolong equipment life. Ambient coolers work more efficiently if they have clear space around them, which increases the amount of cool air around the air inlet. Specifying and locating a cooler with space in mind will drive running costs down for the duration of its lifetime, so where possible avoid situating this equipment close to walls or in close proximity to other equipment. If boxed in, the fans may have to work harder to overcome the additional air side pressure drop and the warm air re-circulation where the heated exhaust air is dragged back into the cool air stream. Importantly, this can not only lead to increased energy consumption, but can also leave the cooler unable to dissipate the required amount of heat at all. If space is an issue, there are flexible design options to consider, such as specifying a cooler with a smaller footprint to increase the surrounding space, or using extended legs to lift the unit high enough to increase the air inlet envelope. The UK’s colder climate is advantageous for applications that can benefit from free cooling. Achieve this, and the cooler will deliver free cooling in the winter months when the outside air is used to chill water instead of using energy consuming chillers unnecessarily. This option works well for much of the year, when spring and autumn ambient air temperatures can still be particularly cool. Payback on a system of this nature can be as short as four to six months with substantial cost savings after that. 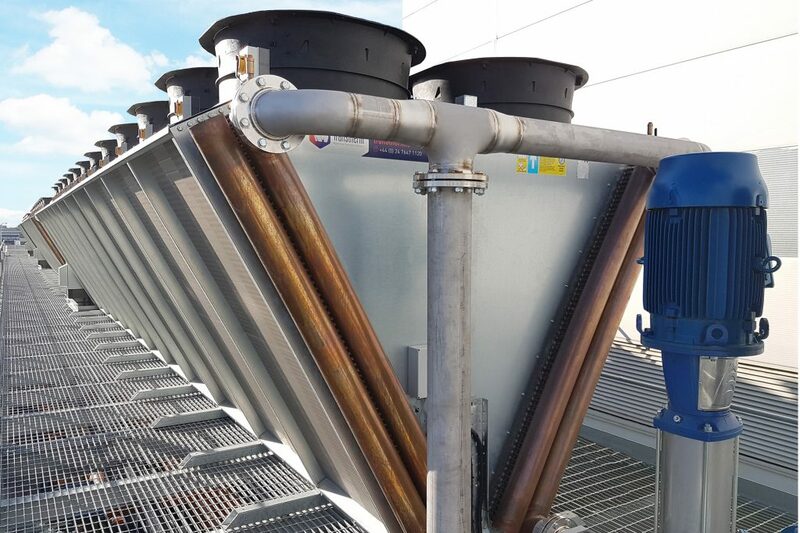 Free cooling systems can be retrofitted to most pre-existing chilled water systems to prevent the need for a full cooling system overhaul, which means even more facilities can benefit from a cooling method which is rapidly becoming best practice. It is important to remember that maintaining the correct levels of glycol concentration within an ambient cooler is essential to maximise efficiencies and cost reductions. Too much anti-freeze can in fact have an adverse reaction on efficiency, so read the manufacturer’s guidelines and implement a procedure which will monitor and manage the levels accordingly. For Transtherm’s Air Blast coolers for example, using plain water as a coolant has a specific heat value of 4.19 KJ/kg/K but using 40% ethylene glycol gives a value of approximately 3.6 KJ/Kg/K (dependant of coolant temperature). This is a difference of 16% and the effect on cooling efficiency is effectively the same. Working closely with a trusted efficiency and performance focused manufacturer throughout the market research, specification and installation process will help optimise the energy efficiency of any cooling technology. 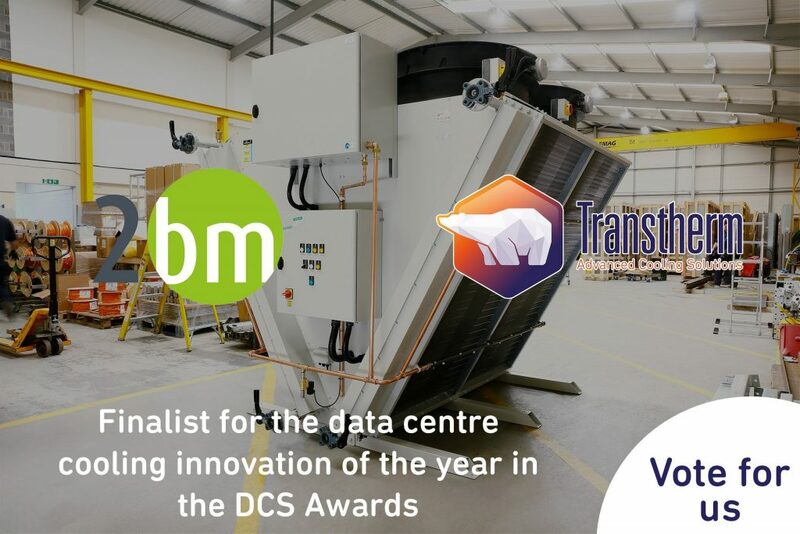 The key lies in utilising data, onsite analysis and operational criteria to specify cooling equipment which will deliver the best efficiencies for your specific application.